There is so much history to share and stories to tell. Here is a look at some of our previous exhibits. If you would like to learn more about a past exhibit, please contact the Administrator. The Great WAR: Benton County’s WWI Experience. WWI had a profound impact on both our nation and Benton County. 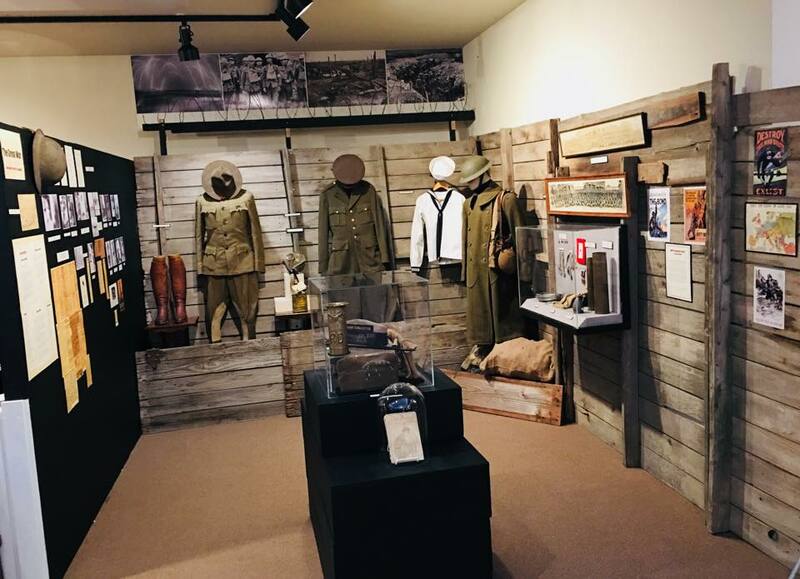 Inspired by the WWI and the Washington Homefront lecture given last year at the museum by Dr. Lorraine McConaghy, public historian; we wanted to curate an exhibit that explored the impact of WWI on our local communities here in Benton County. In planning for this exhibit, we knew that we had a wealth of physical objects ranging from uniforms and gas masks, to water canteens and trench art. What we were thrilled to discover was a wealth of archival materials available for our use and scholarship. Using photos from our Historic Photo Collection, old newspapers (like the Kennewick Courier-Reporter, Kennewick’s local newspaper during WWI), and letters home written by local soldiers, we have been able to reveal the many facets of the Great War from the perspective of Benton County residents. With regards to the long-term impacts of the Great War, this exhibit explores the changes stemming from both the fighting and the domestic policies enacted during this time and how their effects influenced Benton County and the nation. Something Old, Something New: Wedding Traditions of Benton County takes a look at the customs and traditions associated with the wedding ceremony as it evolved during the past 200 years. "If you ever wondered why brides wore white, then the East Benton County Historical Society's exhibition of wedding dresses and wedding finery is not to be missed,"
Since most people consider their wedding day one of the most important days in their lives, the objects associated with this day are often cherished and saved for generations. The Museum has collected many wedding dresses and wedding attire from Benton County Brides, including dresses and undergarments from the late 1800's. On display was wedding dresses from EBCHS's collection as well as dresses on loan from local brides and vintage boutiques. From its origins—roller-skate wheels attached to a wooden board—the skateboard has given rise to a vibrant culture of art, music, and sport. Used by surfers when there were no waves to ride, the skateboard was first manufactured in California. This exhibit explores the history of skateboarding and the impact of skateboarding in the Mid-Columbia. From the origins of our area's first skate parks and the evolution of skateboarding and wheel culture present in Benton County today. Curated in conjunction with Skatebuilder Starkey.